amphenol 62in series connectors are general purpose, environment resistant, miniature circular connectors with three-point bayonet-coupling and five-key polarisation. Designed to meet the requirements of mil-c-26482, series i solder type and british standard bs 9522 f00 17, these connectors are widely used in applications calling for quick disconnect connectors. 62in series connectors are intermateable and interchange able with all mil-c-26482 connectors, whether solder or crimp type. 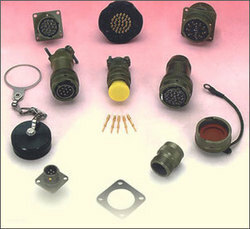 amphenol 62in series connectors are also approved to indian defence standard joint services specification jss50813, certified by the electronic components standardization organisation (lcso), bangalore, india.